Jimmy I got distant footage as the storm screamed off to my east very fast after it wrapped up! But this was filmed at the strongest doppler wind stage! Hard to confirm but it was definitely spinning I believe! Wow! That is what I am talking about – it has that type of base that was screaming tornado! Hard to tell from the photos but that funnel cloud may be 1/4 to 1/3 of the way to the ground! I think I agree with Mal to check for some possible damage although this may have been weak if it did! 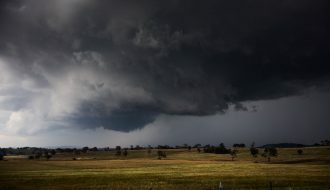 The mesocyclone seems to be in the occlusion stage and tightening up – the process which often leads to tornadoes touching down and roping out. 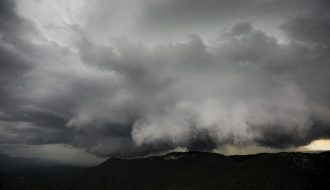 I almost ran back to the NW side of the building to search for rotation – the damn meso was almost on top of us, maybe a km or so to the west, with that menacing low base. Cursed the dirty windows (they were due to be cleaned this weekend!!) 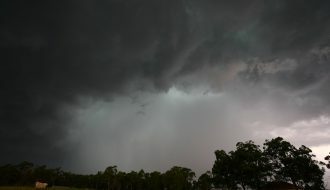 and phone camera, but started taking a few pics whilst hunting for the BoM spotters number (never found it). Anyhow apart from the first one from north sydney oval, the other pics are from our office on level 12 at 181 Miller St in North Sydney, looking W to NNW. 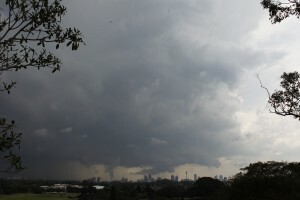 The rotation was quite organised and I was literally waiting for dust and debris clouds to be seen on the ground. The condensation funnel was really trying its best to extend down. A building (cnr berry st & pacific hwy) got in the way of my view as well. Cue the swearing. Within a minute of the last pic, it had moved NE out of view and the rain really set in, dropping some small hail as well (estimated less than 2cm). Anyhow, I went for a drive at lunchtime today for the purpose of conducting a damage survey and to also check for any indications of a ground track. After 45 minutes of searching streets in a grid pattern west of the pacific highway, I found no evidence to support a touchdown. (Search area boundaries: NW point = Pacific Hwy and Greenwich Rd, SW = Shirley Rd & Tyron Ave, SE = Pacific Hwy and Crows Nest Rd, NE = Pacific Hwy) I based the search area off visual references from buildings from the photos, plus I have some low quality video as well – will post this later. Still don’t know how the bureau managed to miss this. Perhaps they did see it but for some reason didn’t mention anything on the warning? Nice video Shane! Even when you’re filming when stationary, it really looks like there is quite quick movement when referenced against the other objects in the video. How far away were you at that point, and what time was it taken? 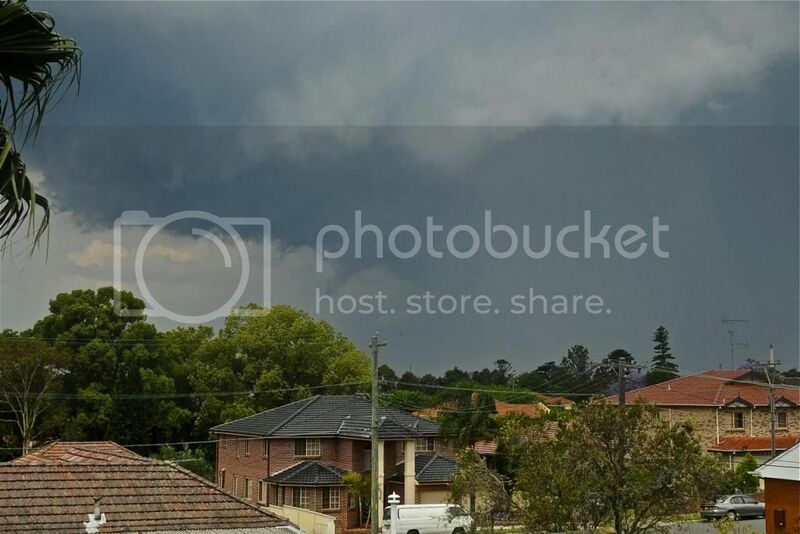 Hi Guys, just continuing on from last reply to Jeff on Friday, I shot down from Lane Cove to Hunters Hill and then parked on Reiby Road (just off Church Street) and was looking west) as the mesocyclone moved directly over. Forgot to put the cam back in the car so only had the iphone, shot video (with some trepidation for the same reason as Shane noted) as it moved over (the phone ran out of memory at the point the vid stops). Video starts at 1:39 coming down Burns Bay Road towards Figtree bridge at 1:38pm. The second clip, which is merged here, ~ from 1min on youtube starts at 1:42pm for radar ref. I had east winds and these shifted rapidly to north winds and strengthened, as you can see leaf litter blow through from right to left at around the time the truck pulls up at the lights. The other thing to note is the rapid motion and upwards motion in the base and rain curtains at the back wrapping around. Starting getting sporadic hailstones, so I bailed down towards Woolwich and there I got a fair bit of ~2cm hail and very strong (RFD) winds. Nice funnel pictures Mal and vid Shane. Hey Nick – how about a larger image size? Michael Bath, the sounding you posted in the afternoon would have been just after the storms. Based on the storm bases etc, the dew points were higher and there were at least backed winds locally with the storms and lower bases to boot. 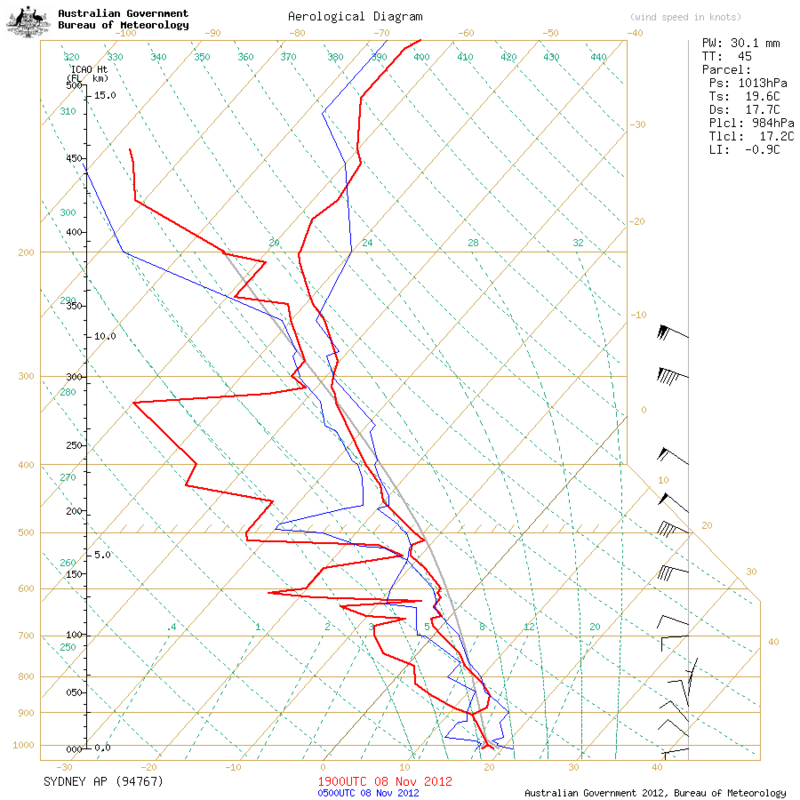 Would someone like to plot the adjusted sounding for the Sydney afternoon sounding with say a dew point of 16C. Well done on the chase Dave Croan and Shane Elias Watson. There is interesting activity in tat region – for me hard to tell what is fully going on as I was not there personally. But David's perspective shows some interesting motion of the same feature you got Shane from a different perspective. Mal, thanks for posting this report. The storm was ready to produce and as I mentioned on another post, it seems the storm’s mesocyclone was in an occluding state. From my understanding, this helps tighten the vortex through stretching and can produce funnels and tornadoes. This is the reason why low bases are instrumental in producing far more tornadoes. Personally, I don’t think the funnel was low enough to touch down but you have a better perspective Mal given you were there and know the view within your photos. 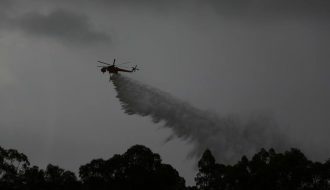 As to the Bureau not producing warnings, I have mentioned this time and time before – there seems to be a reluctance to produce warnings for Sydney. Perhaps there is ‘some’ external influence such that warnings have to be 100% guaranteed. Imagine if a warning was put out and the storm failed to arrive in a given area and the so called planned event (football match, parade, etc) got much less numbers of people and of course loss of profits! Who knows. This seems to be a Sydney based warning issue! Some great video and still footage of this event from everyone. I’ll add some funnel photos to the collection as well. 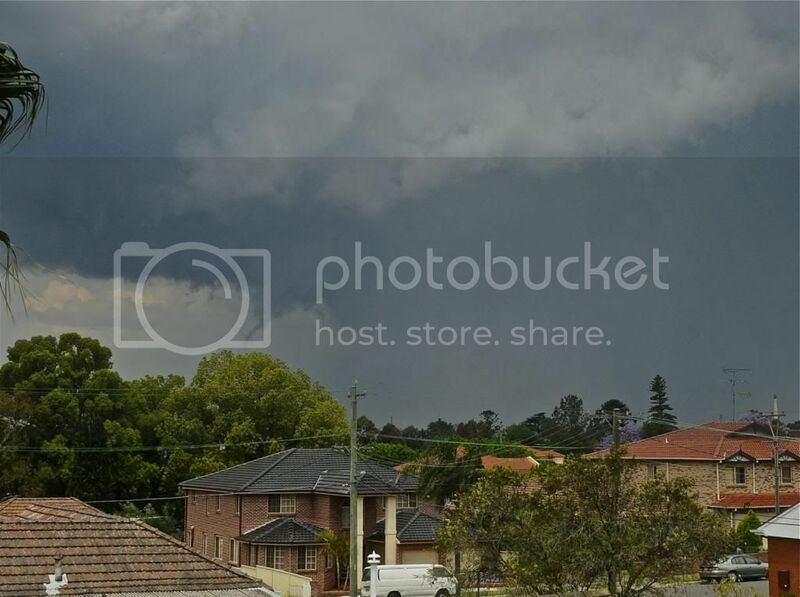 I finished work on Friday at 1pm to see explosive convection towers to the south west of Rydalmere, headed home and by the time i grabbed the camera the leading edge was putting on a show with the funnel developing and fading over a 30 second timeframe at 13:30pm looking east from Parramatta. 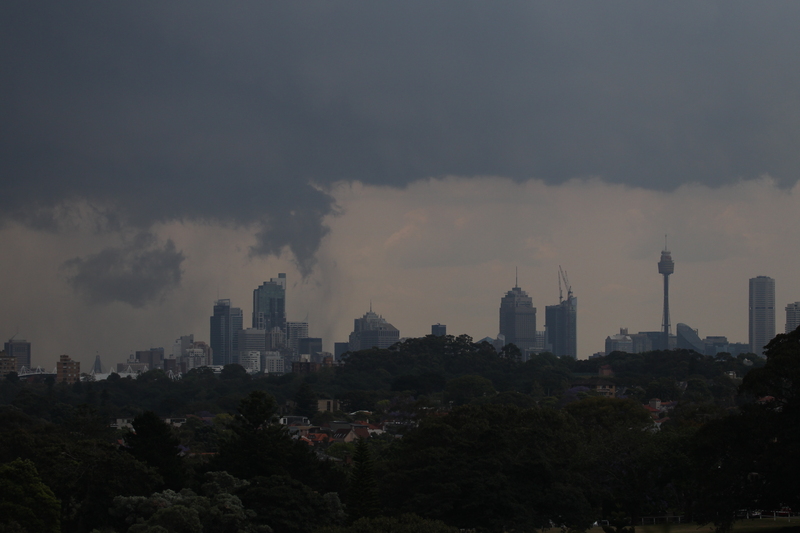 The mid shot even shows some interesting rotational features midway down the funnel . Certainly a very dynamic event, Jimmy , video would have been good too. Cheers, Con. Con, that is a nice base along the flanking line. I assume it was generally to your east – southeast. 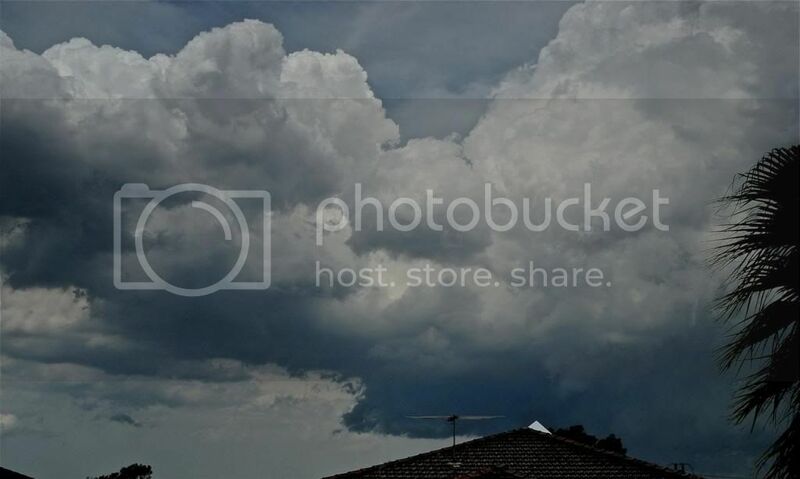 Did you get some of the impressive updraft pictures? 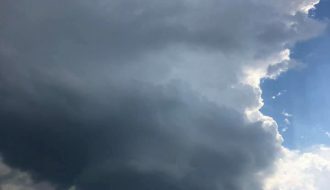 The storm was motoring , as it moved to the NE I did get some shots of the updraft and flanking line , nice base inder the updraft as well, 1st two shots are at 13:38 and 13:39, the last at 13:46 with a well defined flanking line feeding in. 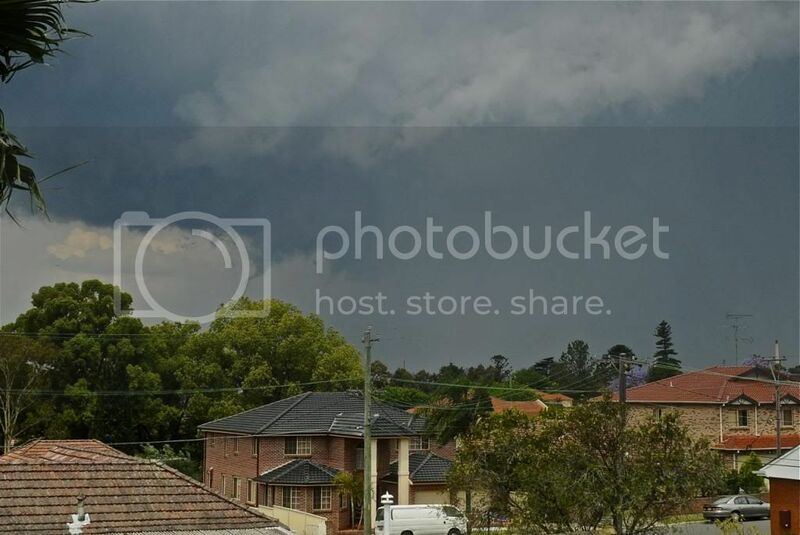 The funnel was photographed ESE of here in Parramatta East, flanking line shots were East of here, Cheers, Con. Thanks for those Con. It seems the supercell was relatively lower topped. But still crisp as shown on your images. Just a comment in response to the forecast of this event, personally I had been expecting the Central Coast to take off on this day but not for the best storm to take off so early in Sydney! Well it required to take off early before the moisture was cleaned out by the wind change. Furthermore, given the rapid intensification followed by a rapid decline off the coast, as well as the observations, what are people's thoughts on the storm perhaps suddenly encountering a triple in the region close to the inner city ie the wind change meeting the NE sea breeze as well as northerly winds? It seems from the videos and from Nick Nicholas Moir's photographs that there was an attempt near the city for the change to begin undercutting it. That was my thought on the day, a ne sea breeze helping the rotation. So yes I agree with it. 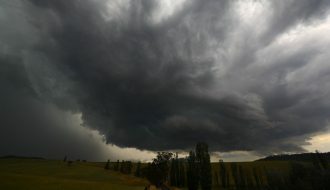 Matt, I guess you ate recollecting the Wentworthville supercell and tornadoes November 3 2000 where the supercell interacted with the sea breeze front. I was just thinking the same as well about that wenty meso propagating along the seabreeze boundary. I saved the doppler loops from the other day and will take a proper look tonight. Such a pity they are low res though. Anyone still have access to kurnell doppler data too? Seems like a good excuse to develop some back-channel friendships with someone from sev-wx at the bureau. Looking closely at Nick's photos and also from his observations, the initial updrafts were not that solid but you get the feeling the one in the image has powered a little more powerful. Albeit it was somewhat messy. David's video shows clean organised over the inner city region. some backend structure looking east, a few minutes after the interesting dopplar scan. Matt yes why not attach given it can assist in the discussion but perhaps label the pictures with the appropriate date. found it… 28 May 2008 , i have a few others if your interested, before this photo and after. There’s no doubt the interaction between the south west wind change and the sea breeze front amplified the storm and eventually resulted in its demise. You can see the triple point intersection near Homebush on the doppler scans. 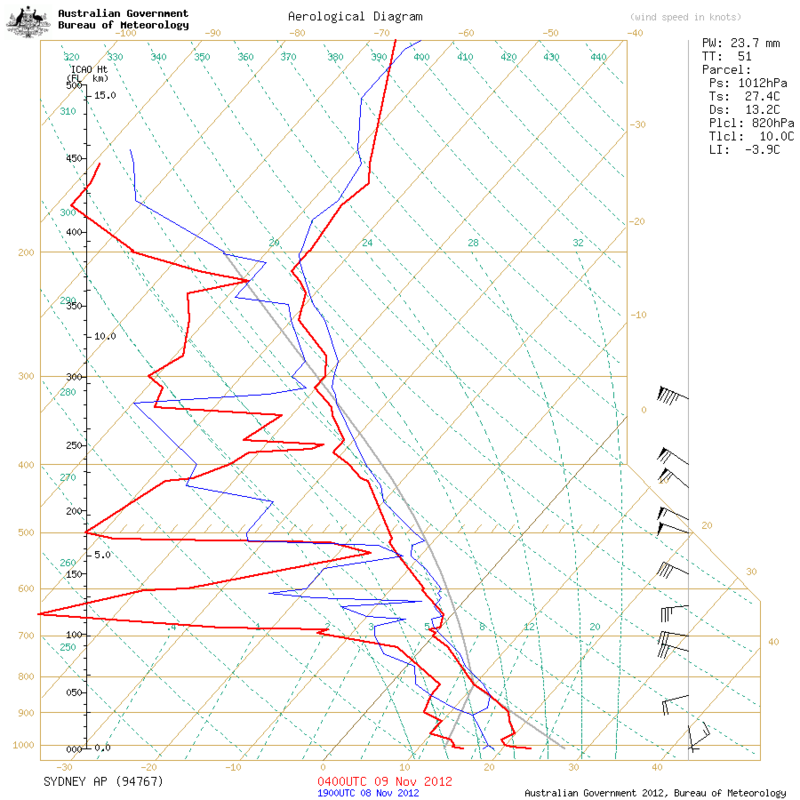 If you watch the whole day you can see north westerly winds in the morning, then the sea breeze comes in and sets up north/south from Hornsby to Homebush and then the southerly/south westerly change with fairly intense cells already developing near Horsely Park. When these cells, riding the wind change meet the sea breeze it amplifies dramtically and then as the cells cross the sea breez front they collapse. Afterwards the sea breeze picks up as a moderate north easterly and we even have some late convection in Western Sydney. BTW can we combine all the discussion of this event? 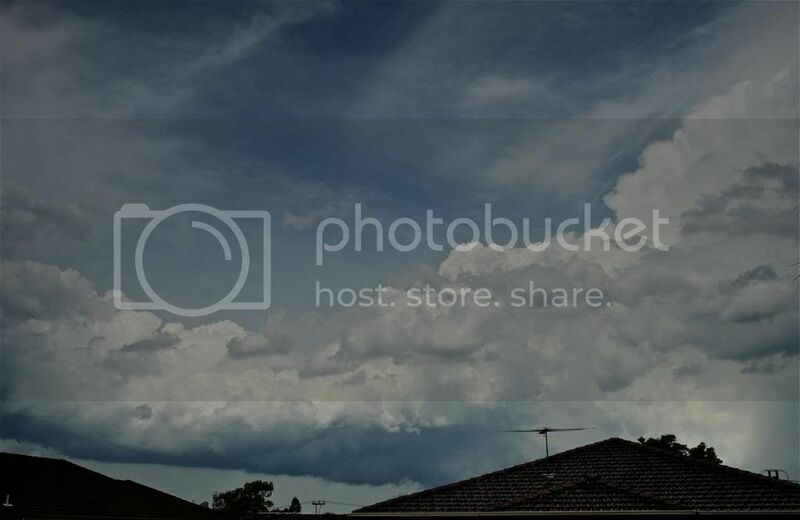 Time lapse video of cumulus convection on sunset on the 9th after the north easterly moved into outer western Sydney. Nice illustration of the boundary! I just found it difficult to see where the radar was as a starting point. Thanks for annotating it! That has to be a first! Like the time lapse. 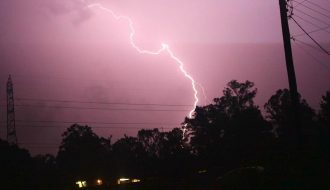 I am pretty sure I was chatting to Colin and detected lightning from that storm – not sure if it was a flash or bolt. Jeff, that is a great illustration of the boundary. Thank you. I noted just prior to the event how the winds were blowing from the west or west north west. 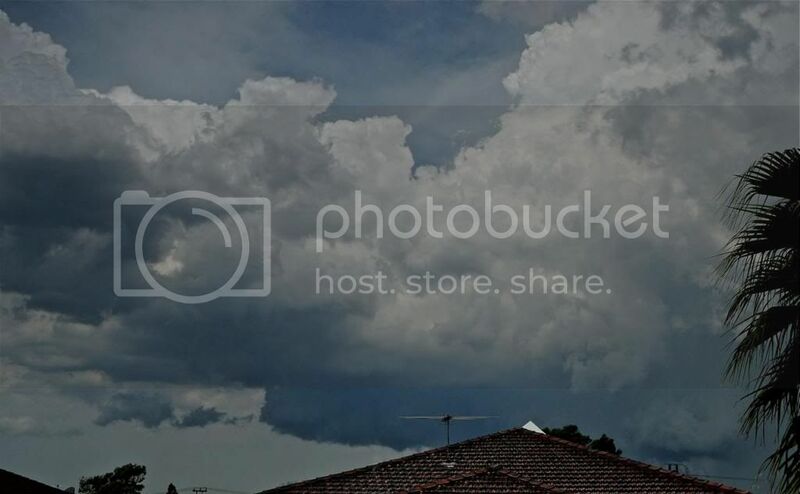 As I drove underneath the thunderstorm cloud at Canley Heights and just prior to the rain and hail core, the wind abruptly shifted more of a south westerly then immediately after the storm, I could feel that the winds were from a southerly quarter. 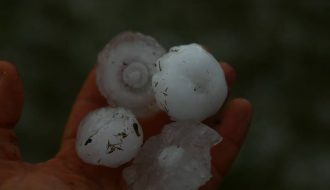 During the height of the storm, rain and hail was being driven by high winds at an angle but these did not last long (just a few minutes). I could determine a significant wind change with the passing of the storm over a few minutes. This is one example where I could experience the changing wind direction over such a short time frame.